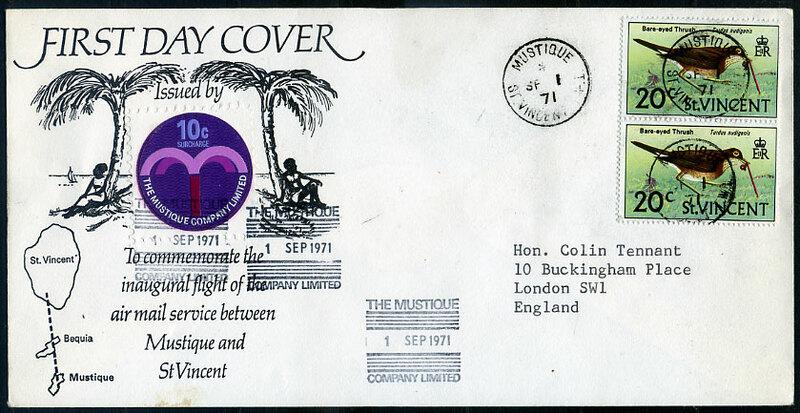 on inaugural first flight cover dated 1 SEP 1971 addressed to Hon. Colin Tennant. Only 70 mauve labels were printed for exclusive use of the Tennant family (owners of the island). 64 mauve labels used on flight covers, 1 mauve label on unique proving cover of earlier service, 5 mauve labels unaccounted for (no mint mauve labels currently known). 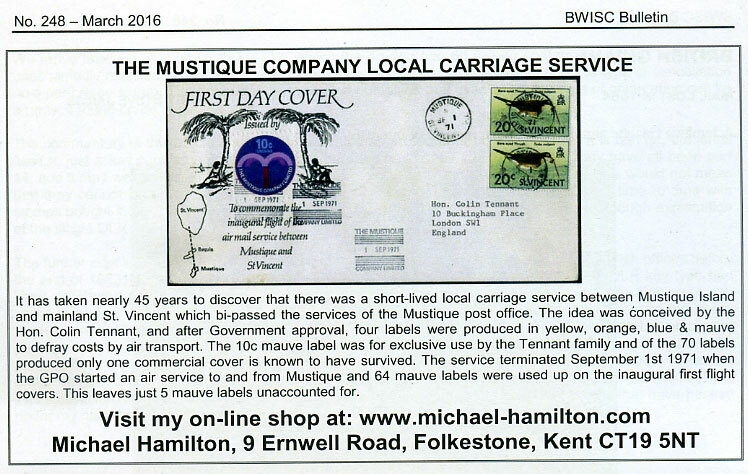 The Flight covers used up all remaining orange, yellow, blue, mauve labels terminating a genuine commercial local carriage service which had remained undiscovered for some 45 years. Scan of this actual cover as used in a BWISC Bulletin advert attached. 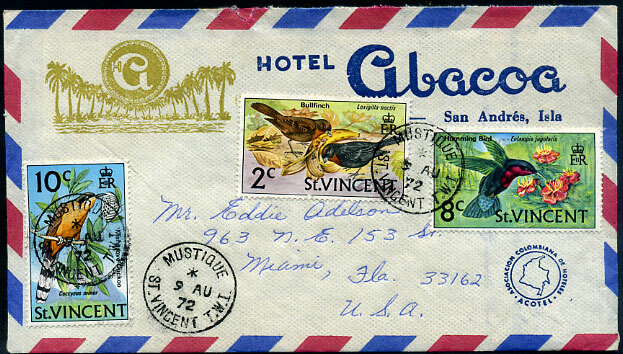 San Andres Island, Colombia, Hotel Abacoa cover with St. Vincent 2c, 8c, 10c Bird definitives pmk'd */9 AU 72 to Miami, Florida. Exceptionally attractive.